Speak up if something seems wrong or unsafe. We all know what the standards are supposed to be in Naval Aviation and in the Corps. Enforce them! When we fail to enforce the existing standards, we are actually setting and enforcing a new standard that is lower. These were the words of the US Marine Corps Lieutenant Colonel Chris ‘Otis’ Raible in his ‘Commanders Intent’, a directive issued to those under his command prior to their deployment to Helmand. The Lieutenant Colonel and US Marine Sergeant Bradley Atwell were both killed-in-action on the 14th September 2012, whilst leading the defence of Camp Bastion against a determined Taliban special forces ground assault. I was present in Camp Bastion during the attack and I was part of the airfield guard that summer too, so I know the subject intimately. But I’ve only just come to understand the true meaning of moral courage – mine failed me when it counted. The Marine Corp’s courage on 14th September 2012 is easy to see. They were part of the US Marine’s air wing, piloting and operating a squadron of Harrier jump-jets from Camp Bastion’s airfield in support of ground troops across Helmand. But as guests of the British command inside Camp Bastion they would justifiably never of expected to have been in ground combat. And yet it was the Marine Corps 3rd Air Wing led by Lieutenant Colonel Raible who were the first the respond to the attack with a coordinated defence, helping to locate and contain the attackers. These were Marines who didn’t hesitate; within a matter of minutes they switched from the relatively relaxed surroundings of a supposedly secure main operating base, to donning their body armour and counter attacking the new enemy frontline on foot. Two of those Marines, commanding officer Lieutenant Colonel Raible and Sergeant Brad Atwell, were killed in the ensuing action, both fatally wounded by Taliban RPG shrapnel. Both men risked all and gave their lives in the defence others, including me. I was stood 1/2-a-mile away, just a stones throw from my camp bed and watching the glow of the battle on the near horizon. My lack of courage might never have been known if it weren’t for this report, but I still think it is worth sharing. On 7th September 2012 my moral courage failed me. I’d seen huge vulnerabilities in the defences inside the wire and indications of close surveillance by enemy forces outside the wire. 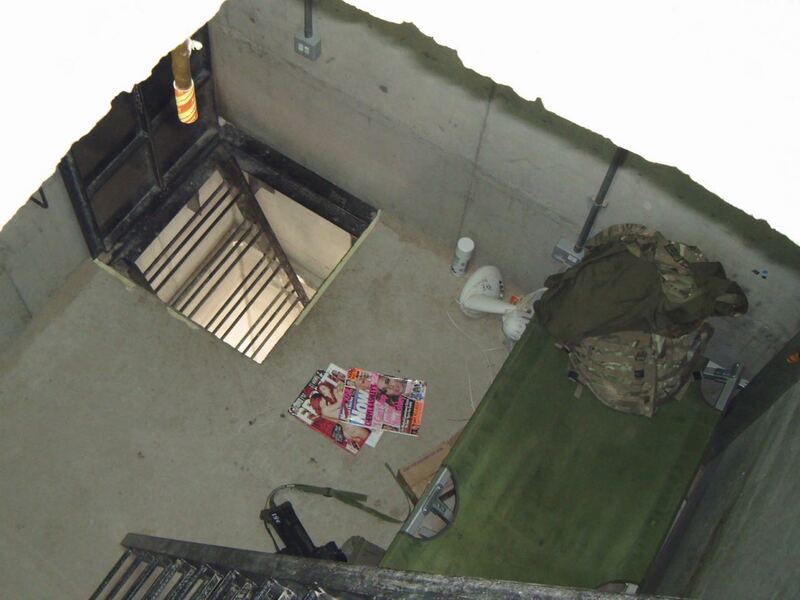 I became so fearful for my own safety I took to cowering in the middle floor of the guard tower whilst off watch. It was a fly ridden, windowless concrete box with steel trapdoors acting like an oven in the Afghan summer sun. But that was the only place I dared let down my guard, somewhere I could close my eyes and rest. I’d reported my concerns by radio, in person and noted all activity in the guard tower observation log, but I was unable to convey the seriousness of the situation to the guard commanders and they told me not to worry so much. All telephone calls and emails from the camp were monitored so I couldn’t raise my concerns that way. I feared my own chain-of-command more than I respected them and from bitter experience I feared only retribution or ridicule without action being taken if I had voiced my concerns further. My only option was to break ranks and approach the US forces in the base and warn them of the grave danger I’d seen. And that was the moment my moral courage failed me. I made a clear and considered decision that I should ignore my instinct and instead stay silent about my grave concerns. I knew something was very wrong and unsafe and I chose to ignore it. I now know that there were men of the Lieutenant Colonel's calibre just waiting for people with enough moral courage to step forward and voice such concerns. But I didn’t know that then and my fear and selfish sense of self-preservation got the better of me. I don’t even remember thinking of it again until I heard the first shots and explosions of the battle ring-out, exactly seven days later. As we walked along the runway in extended line the next morning, checking for any remaining battle damage, I felt the greatest sense of professional shame I’ve ever known. Not far away men lay dead in a morgue, men who had trusted the guard that I was part of to keep them safe. I’ve spent 5-years detailing and reporting the criminal failures of senior British officers responsible for the camp’s defence, but it was only this week I acknowledged my own guilt. I had an opportunity to be a hero, to be an example of outstanding moral and professional courage, but when it really counted I shied away. I was too fearful of the personal risks. I will concede that it would have taken significant courage for anyone to approach a member of an allied army with such a warning, perhaps as much courage as men like the Lieutenant Colonel or Sergeant Atwell displayed 7-days later. And I guess that is what separates the majority of us from heroes like those Marines – they didn’t turn back after weighing-up the personal risks, they charged forward knowing only one thing - that those behind them would be that little bit safer for their actions. These men are and will be Remembered across the globe for their courage, professionalism and heroism, and their families honoured for the sacrifice and loss they have endured on all of our behalf. I hope my admission will show people that there really is an extra-mile you have to go to do the right thing. In my case it was literally a question of walking about a mile down the road to the US section of the camp and knocking on any door and asking to see a commanding officer. I didn’t have the courage or confidence to walk that extra-mile then, but I know there’ll be another extra-mile up ahead before too long and I will not make the same mistake again. I hope by sharing this I can inspire others to find that last bit of confidence or courage they may need to do the right thing, whatever circumstances we may find ourselves in.